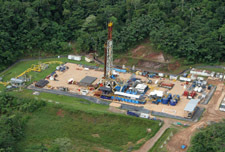 Pacific Exploration & Production Corp.’s wholly-owned subsidiary Meta Petroleum Corporation has reached an agreement with Talisman Colombia Oil & Gas Ltd. to acquire the remaining 50% working interest held by Talisman in the CPE-6 Block in Colombia. Ronald Pantin, Chief Executive Officer of the Company, commented: 'This acquisition consolidates an important new heavy oil discovery in Colombia. Our net production before royalty will increase to 100% minus Variable Monthly Payments equal to 4 percent, which has an immediate positive impact on cash flow and doubles our net reserves in the Block without an initial cash outlay. Cash payments will be distributed in three tranches based on accumulated gross production thresholds of the Block.